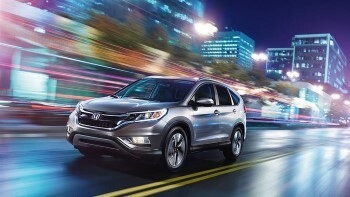 Goshen and Monroe drivers receive a premium powertrain as standard with the 2016 Honda CR-V, resulting in untouchable mpg ratings and a compelling output. With the advanced powertrain backed up by state-of-the-art engineering technologies, the CR-V delivers fantastic performance across all conditions. Most modern crossovers — such as the Hyundai Tucson and Mazda CX-5 — are content to offer a meager standard engine, expecting Goshen and Monroe drivers to pay extra for the kind of output that they’re truly after. The 2016 Honda CR-V doesn’t roll that way; instead, it offers the same phenomenal powertrain across all trim levels, from the LX to the Touring. 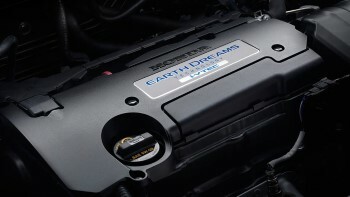 A 2.4L i-VTEC four-cylinder engine with direct-injection technology sits at the heart of the CR-V to provide an engaging 185 hp and 181 lb-ft of torque. According to Edmunds, that’s enough to take you from a standstill to 60 mph in as little as 8.8 seconds — much quicker than average in even the crowded crossover segment. AWD System: Honda’s celebrated Real Time AWD system is available across all trim levels. As the name suggests, it monitors road conditions and vehicle performance in real time, then automatically transfers power to the rear wheels if a loss of traction is detected. Hill Start Assist: When the CR-V detects that you are on a slope, it will automatically hold down the clutch for you until you hit the gas, preventing your vehicle from rolling downwards. Drive-By-Wire Throttle System: Unlike traditional mechanical control systems, this electronic model links up with other electronic stability control technologies to ensure pinpoint control — it’s also far lighter than outgoing versions. 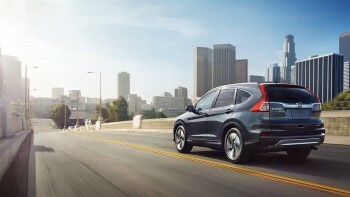 The 2016 Honda CR-V comes with only one transmission option. Instead of using outdated fixed gears, in employs a CVT (Continuously Variable Transmission) system, so power is always optimally delivered and efficiency kept on-point. 25 mpg in the city and 31 mpg on the highway* with all-wheel drive. 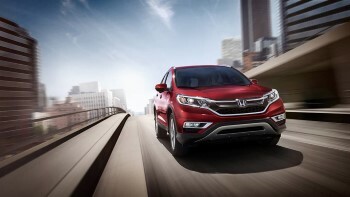 Both sets of ratings position the CR-V at the head of its class when it comes to fuel economy. Able to balance a high output with practical efficiency scores, the 2016 Honda CR-V powertrain and mpg ratings are able to please both your heart and your head. To experience it for yourself near Goshen and Monroe, contact Middletown Honda to arrange a test-drive.